You are currently browsing the category archive for the ‘crucifers’ category. Remember the bok choy seeds that I started back in March? Here’s what they looked like yesterday, right before I planted them in my garden bed. I started planting my rows of brassicas — broccoli, cauliflower, Brussel sprouts, cabbage, kohlrabi, and now the bok choy — once our April night time temperatures were pretty reliably above thirty-five degrees. Now, these cabbage relatives, also sometimes called crucifers, are pretty tolerant of cool temperatures, and even hold their own well against light frosts, especially when planted, as I have done, in a somewhat protected plot of soil (I have them on the south side of my garage). Additionally, I have covered each seedling with one of my improvised two-liter bottle cloches, which not only gives them cover from the frost, but also insects, such as the dreaded cabbage worm. As they outgrow the cloches, I will put them under floating row covers for the rest of their growing season. Another enemy of my garden seedlings are cutworms, which gave my poor peas duress last year. As I’ve been readying the soil (I work a double row at a time), moving from east to west, I found no evidence of cutworms in that the section of the garden where my fall leaves had covered the soil. However, the section with little leaf cover seemed to have many cutworms buried in the soil. So I have begun to use additional protective measures in this area of the garden. 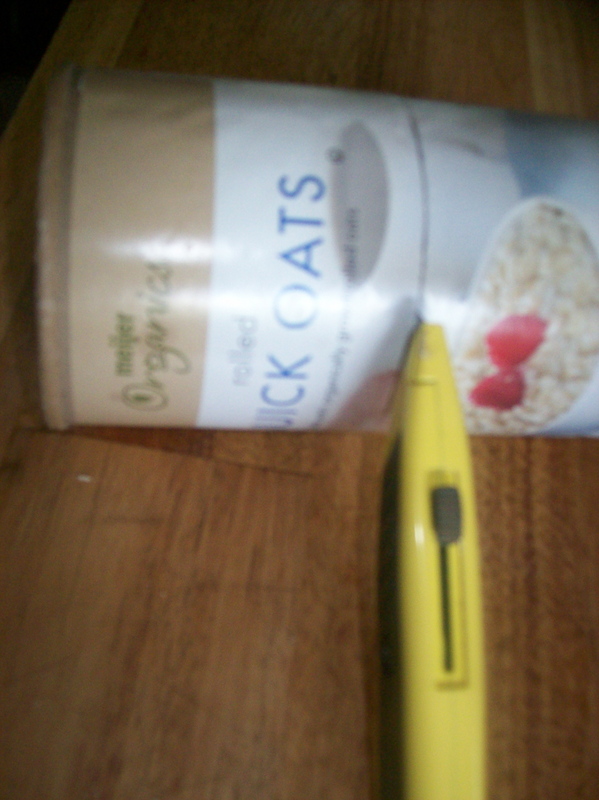 All winter long I have been saving my empty oatmeal boxes for this very purpose. 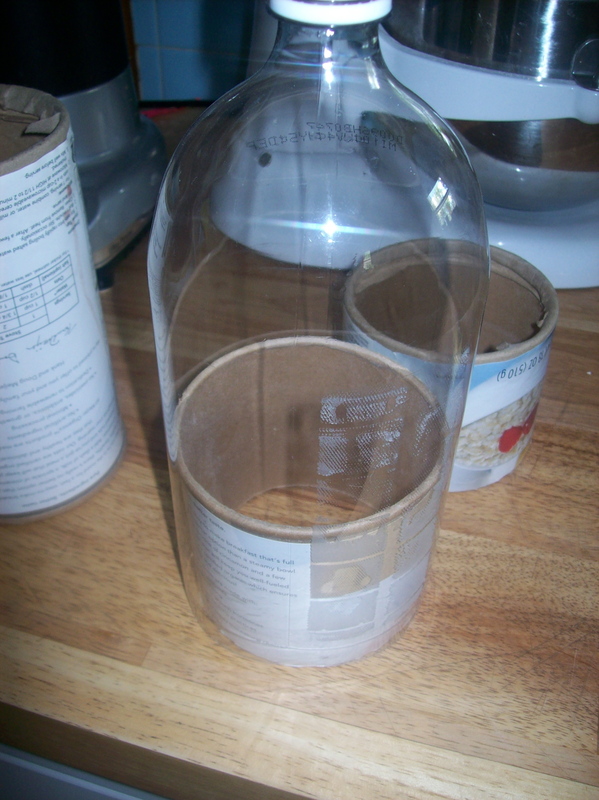 I cut each box in half, and when I use the smaller, 18-ounce boxes, the two-liter bottle cloches fit nicely over them. 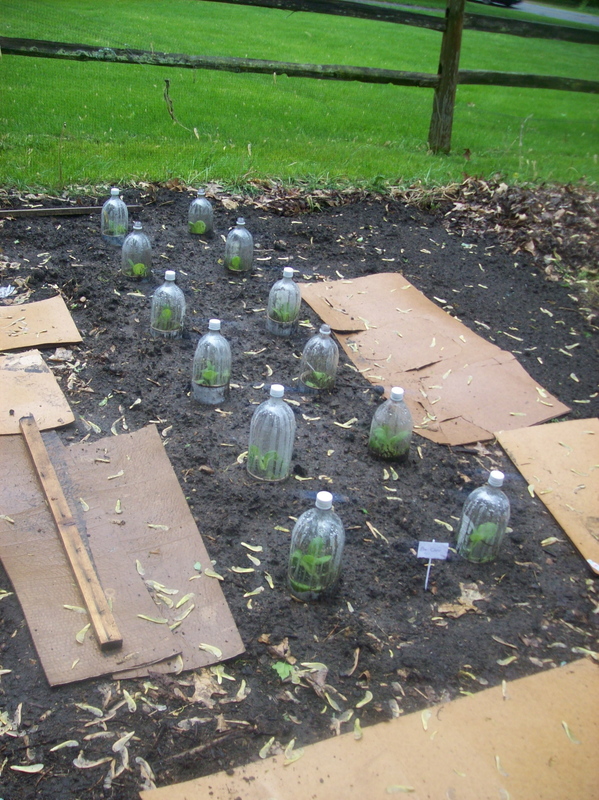 I planted each seedling inside the protective collars offered by the oatmeal boxes, and then, covering them with the bottle-cloches, I anchored the cloches in place by submersing about an inch of the plastic beneath the soil and piling up additional soil around the outside of the bottle. There was room for all twelve of my bok choy seedlings in the double row that I prepared for them. 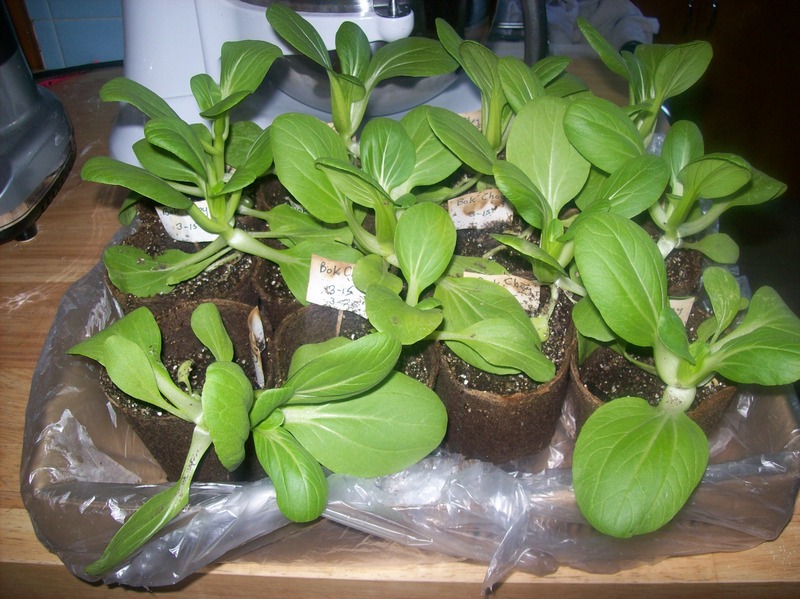 I normally have back up seedlings, in case of some gardening disaster (such as an unexpected hard freeze), but in the case of my bok choy, I have none, which is why I saved them for planting outside last. We had heavy rains last night, and the forecast is for rain all day today as well. My little bok choy seedlings appear quite content in their new location. And I’m grateful for a rainy day, because it means I can rest up a bit from all of the binge-gardening I’ve been doing this week.